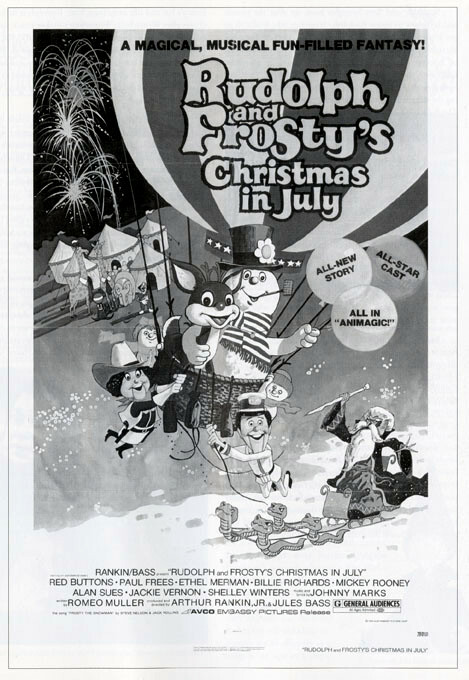 Well, if a Universal Monsters team-up is called a “monster mash”, I guess you could call Rankin Bass teaming up Rudolph the Red-Nosed Reindeer and Frosty the Snowman an “animagic mash”? I’ve always thought it was interesting that Rankin Bass used multiple characters with winter-based powers. A few of them were even credited with ushering in the season of winter such as Father Winter, the naughty version of Jack Frost and Snow Miser. The nice version of Jack Frost is basically Jesus to Father Winter’s God. Then there’s the villainous sorcerers, King Winterbolt and the Winter Warlock, who basically seem kinda like the same guy. The difference is Winter Warlock looks much cooler but Winterbolt has a cooler name, SNOW DRAGONS, REIN-SNAKES and Scratcher the evil reindeer. 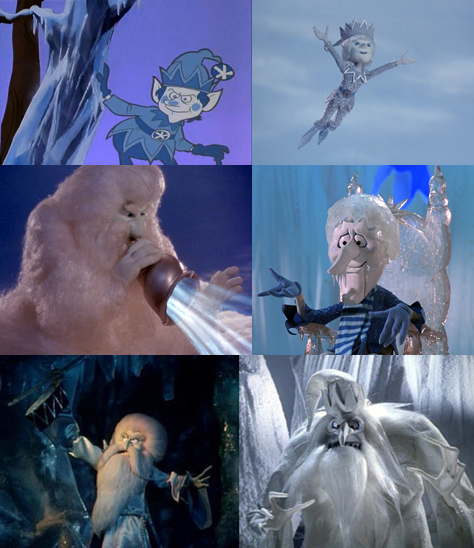 I guess once the Winter Warlock went good, Rankin Bass decided an evil winter magician was too cool to let go of, so they came up with King Winterbolt. Christmas ornaments for my tree! My Christmas bonus this year was a Target gift card and I blew it on these three ornaments earlier tonight. As you all know, I need ornaments for my room tree. You can plainly see in the picture what I got but I’ll recap for you. They’re all blown glass ornaments, which isn’t my favorite style of ornament. Blown glass almost always screams “cheap”, “tacky” and/or “ugly” to me but I think these ornaments were pretty well done. I’m typically into the PVC-type ornaments that you might see at Hallmark. Something in a hard plastic and not so fragile that you have to treat it like nitro glycerin when handling. By the way, I just discovered this awesome site: www.hallmarkornaments.us. I’m going to waste so much time there trying to see if I can spot any of the ornaments I had as a kid. The Darth Vader ornament was a pretty easy pick. 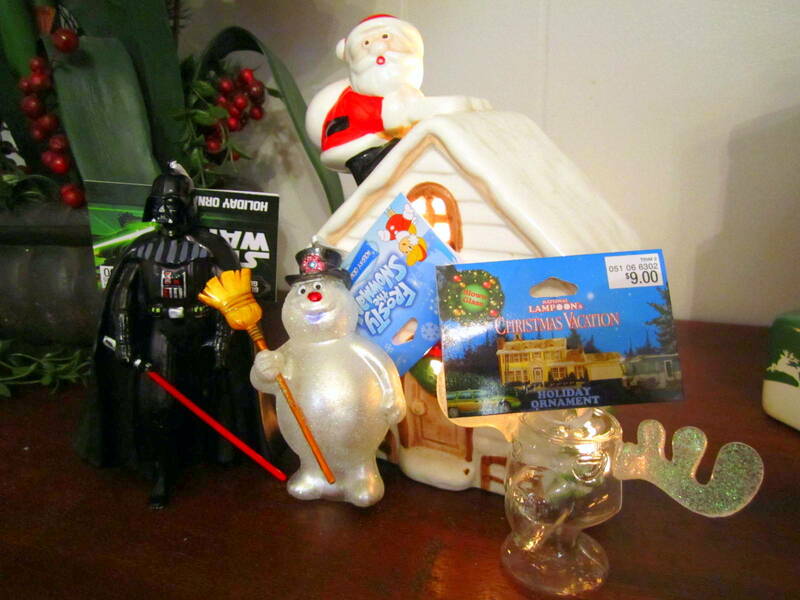 There was an R2-D2 ornament and he’s cool and all but he’s not as cool as Darth Vader. Plus, it was the last one! He’s actually a pretty cool ornament. Good thing he doesn’t have glitter all over him that blown glass ornaments usually have. The Frosty ornament is done in the much more usual blown glass style but given that it’s Frosty the Snowman, I can let all the glitter slide. He glistens as all snowmen should. I almost didn’t get him. After picking Vader and the moose mug, I circled Target’s Christmas department several times looking for another ornament or some type of holiday knickknack. I was about to give up and pick up a fairly cheap and goofy looking cloth Santa Claus ornament when I finally saw the row of Frostys stuck between all kinds of Spongebob and Dora Nickelodeon nonsense. Oh yeah, and that ceramic house in the background with Santa on it? It lights up and it’s pretty much awesome. It’s been in the family collection for as long as I can remember. 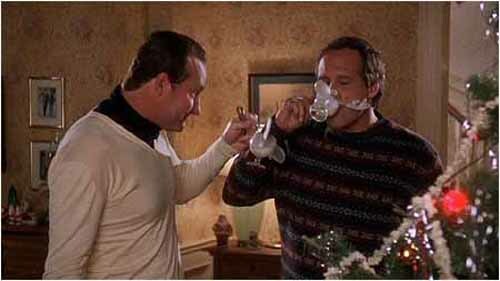 It’s one of my favorite Christmas decorations ever. I talked about wanting this lesser-known Rankin Bass special on DVD last year but decided it deserved to be recognized on its own. It originally premiered on NBC and then was later aired on CBS before being released on VHS. The last (only?) VHS release was in 1993. While the official title is The First Christmas: The Story of the First Christmas Snow, it is sometimes referred to simply as The First Christmas (as evidenced by the title card and VHS box art). For the last few years ABC Family has been airing it as a part of their 25 Days of Christmas but I have read that this year it is not on the schedule at all. It STILL has not been released on DVD so if you want to watch this special nowadays you’ll either have to track down a VHS copy or download it somewhere (I have NO CLUE how you would go about doing that). I have seen it on YouTube though. Warner Brothers still owns the rights to this special so you’d think they would’ve thrown it in as a bonus with some of the other RB specials they release year after year. At the very least they could give us the benefit of selling it at the Warner Archives site where every DVD is made to order. They gave us Chuck Norris Karate Kommandos for Pete’s sake! We can’t get The First Christmas? 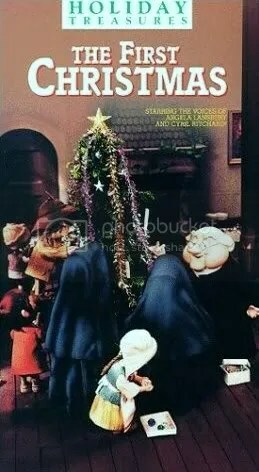 As for the special itself it is narrated by and featuring Angela Lansbury (as Sister Catherine and she sings a nice version of “White Christmas”). And The First Christmas isn’t about Baby Jesus as you might think. Instead, the special centers around a young shepherd boy, Lucas, who was involved in a lightening storm that caused him to go blind and the nuns who take him in. The abbey that the nuns live at is putting on a Christmas pageant and Lucas is cast as one of the angels, despite his eyesight. Lucas has never seen snow and Sister Catherine, having grown up in the mountains, tries to describe it to him (the story takes place near a sea, where it never snows). During the course of the pageant, snow begins to fall and then another miracle occurs when the boy’s eyesight returns. It’s a good tale but not the usual peppy, colorful Rankin Bass effort that we’ve come to expect from the Frosty, Santa or Rudolph specials. Still, I recommend it for anyone that enjoys the other Rankin Bass stop-motion specials. I’m a member of Columbia House’s DVD program. Yeah, I know it’s somewhat off a ripoff but considering the free DVDs I was able to get when signing up I figure I can usually break even when these types of “clubs”. I used to make a KILLING with BMG’s music service by constantly signing up, canceling, then signing up again. Anyway, I just happened to be digging around on Columbia House’s website and came across this DVD. 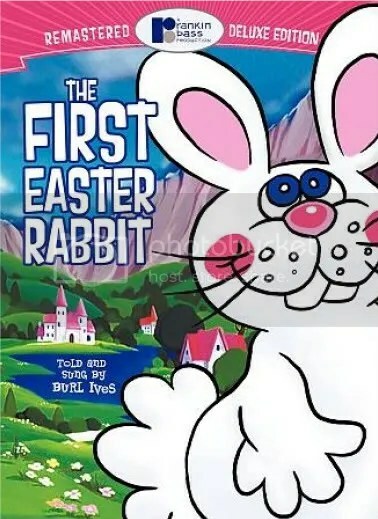 The First Easter Rabbit is one of the few Rankin Bass holiday specials I don’t own and for good reason: to my knowledge it hasn’t showed up on TV for as long as I can remember, the VHS copy is out of print and it wasn’t until February 16th of this year that it was finally released on DVD!